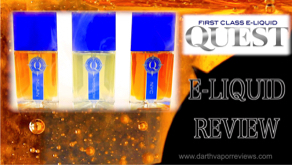 A review of the Quest e-liquid line by Quest Vapor. 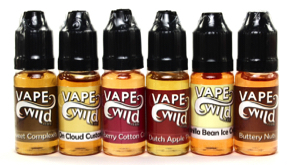 80vg/20pg blends available in 60ml bottles with four nicotine levels to choose from. An 80VG/20PG blend, Quest is available in 60ml bottles in four nicotine levels. 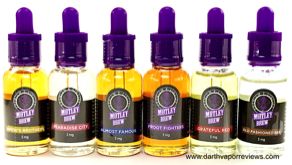 A review of 5 flavors. 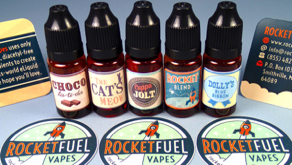 Choco-la-ti-da, The Cat's Meow, Cuppa Jolt, Rocket Blend and Dolly's Blue Ribbon. 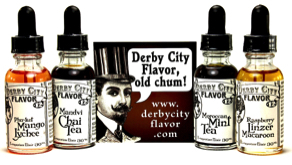 A review of 5 flavors. Peachy Keen, Lime Rick, Razz My Berries, Bee Sweet and Love Potion No.9. 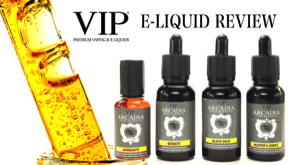 VIP e-liquids are produced in the U.K. with pharmaceutical grade nicotine and have passed GC-MS testing. 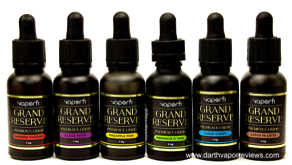 The Arcadia Gran Reserva e-liquid line is available in three nicotine levels. 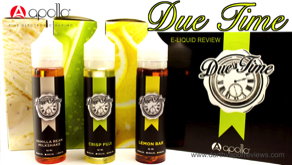 3mg, 6mg and 12mg..
Derby City Flavor: "Ports of Call"
A review of the Due Time e-liquid line by Apollo. 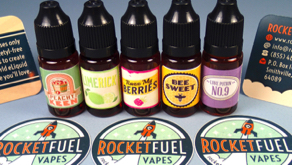 These creamy, sweet flavored e-liquids are manufactured in California in an ISO 8 certified cleanroom. 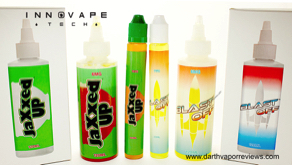 They are Max VG blends available in 60 or 120ml bottles in three nicotine levels.